When you hear the name Nokia, you probably think of phones. But tablets? Not so much. 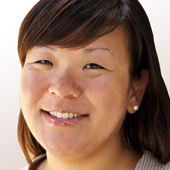 That’s because the company has taken a wait-and-see approach to this category of mobile devices. Rather than rush out a product just for the sake of being able to say, “Hey, we have a tablet, too,” the Finnish cellphone maker decided to hold off until it could offer something that was different from the rest of the competition. 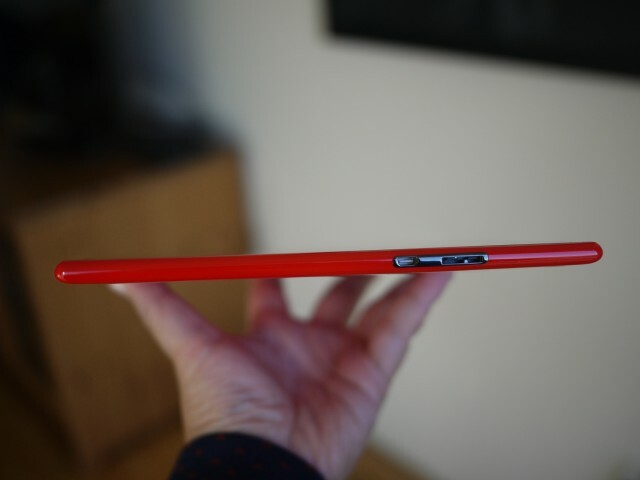 And now the company finally thinks it has that in the Nokia Lumia 2520. I’ve been using the Lumia 2520 over the past few days, and I’m generally impressed with Nokia’s first tablet. The Windows RT 8.1 device offers good battery life, speedy performance and 4G LTE connectivity, among other things. But it also comes with a number of caveats that make it hard to recommend outright — one of the biggest drawbacks being the limited app selection. I’ll start with the positive stuff first, since we don’t need to get all Debbie Downer just yet. 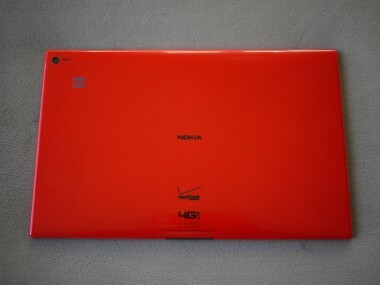 One of the first things that attracted me to the Lumia 2520 was its design. The tablet measures 10.5 inches wide by 6.6 inches tall by 0.35-inch thick, and weighs 1.3 pounds, so it’s not small by any means. But, much like the Lumia smartphones, it has a seamless unibody design and rounded edges that help keep the tablet manageable. 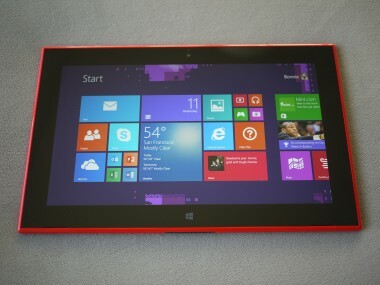 Its main competitor, the Microsoft Surface 2, is bigger and heavier at 10.8 inches by 6.8 inches by 0.35-inch, and 1.49 pounds. But it also manages to pack in a USB port and built-in kickstand. 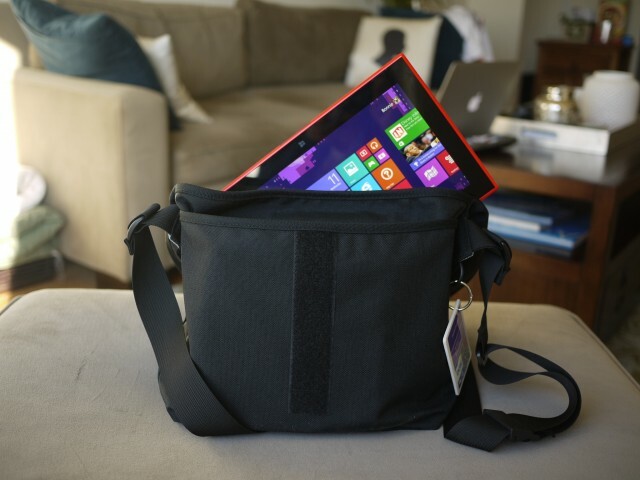 There is an accessory case you can buy for the Lumia 2520 for $150 that lets you prop the tablet at an angle and includes a full keyboard and touchpad. It also provides up to five hours of extra battery life. The Lumia 2520’s 10.1-inch touchscreen is a bright spot — literally. With a resolution of 1,920 by 1,080 pixels, reading text and viewing videos was a delightful experience. I downloaded Pixar’s “Monsters University” from the Xbox Video store, and the display showed great detail along with bright colors. Like the Lumia 1520 phablet I reviewed a couple of weeks ago, this tablet also automatically adjusts the display’s brightness depending on the lighting conditions, and I had no problems seeing the screen, even while using it outdoors. 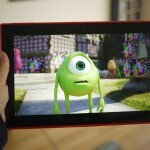 Being able to use the tablet everywhere is a huge draw of the Lumia 2520, and one of the ways Nokia tried to differentiate the tablet from its competitors. As such, the tablet offers 4G LTE cellular connectivity in addition to Wi-Fi. 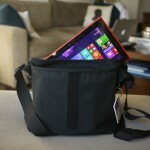 (The Surface 2 is Wi-Fi-only.) This gives you a lot more freedom in where you can use the tablet once you’re outside the boundaries of your home or office’s Wi-Fi network. I own a Wi-Fi-only iPad, and it was nice to be able to take the Lumia 2520 with me on the go, and not have to worry about trying to find a cafe with Wi-Fi whenever I needed to check email or catch up on news. I’ll also be traveling for the Christmas holiday soon, and I can see it coming in handy while waiting at the airport (so many cute cat videos to watch, so little time). But that privilege also comes with the added expense of monthly data plans. The Lumia 2520 costs $400 with a two-year contract on AT&T or Verizon, and data plans for the 32 gigabyte Verizon model I tested start at $30 per month for 4GB of data plus a $10 monthly line access fee. AT&T’s data plans start at $15 per month for 250 megabytes of data. Alternatively, you can pay $500 for the Lumia 2520 without a contract, and pay for a monthly data plan only when you need it. 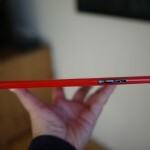 Meanwhile, the Wi-Fi Surface 2 costs $450 flat, and Nokia currently doesn’t have plans to offer a Wi-Fi-only Lumia 2520. Still, for those who crave or need that always-on connectivity, the extra expense might be worth it, and the Lumia 2520 is a lot cheaper than some of the alternatives. The 32GB iPad Air with 4G, for example, costs $630 on contract with Verizon, and the 16GB Samsung Galaxy Tab 2 10.1 costs $500 on contract. But in going with the Lumia 2520 (and the same goes for the Surface 2), you give up the wide selection of apps available to the iPad and Android devices. While I was able to find some of the more common big-name apps like Facebook, Twitter and Netflix in the Windows Store, there were plenty of missing titles. Pandora, Temple Run 2 and Rockpack (a Web video discovery and curation service) are several apps I frequently use on my iPad, and none were available for the Lumia 2520. Windows RT 8.1 also differs from regular Windows 8.1 in that it can’t run an array of traditional Windows programs like Adobe Photoshop or QuickBooks. You do get the full RT version of the Microsoft Office suite, including Outlook. And Nokia includes some software extras, such as its Video Director app (for editing videos) and Nokia Music. If you can get past these limitations, the Lumia 2520 does perform its duties as a tablet well. 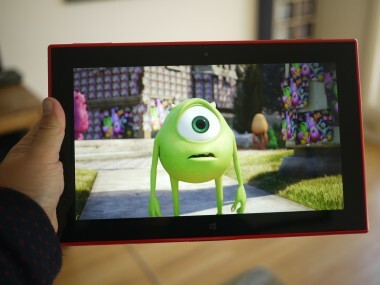 With a quad-core Qualcomm Snapdragon processor, the tablet felt very responsive and fluid. Battery life was also solid. In my formal battery test, I turned off the 4G connection but left Wi-Fi on to retrieve email in the background, and then played a continuous video loop with the screen set at 75 percent brightness. With those settings, the Lumia 2520 was able to provide 11 hours of battery life. That’s about an hour and 15 minutes short of the iPad Air, but still plenty of juice to watch a movie on a cross-country flight. In a more real-world setting, where I used the tablet with 4G to check email, social networks, browse the Web and work on documents, I could go a full day before needing to recharge. With the Lumia 2520, Nokia has built a very attractive and solid Windows tablet that can give the Surface 2 a run for its money, as long as you’re okay with paying for a monthly data plan and working with a limited selection of apps.